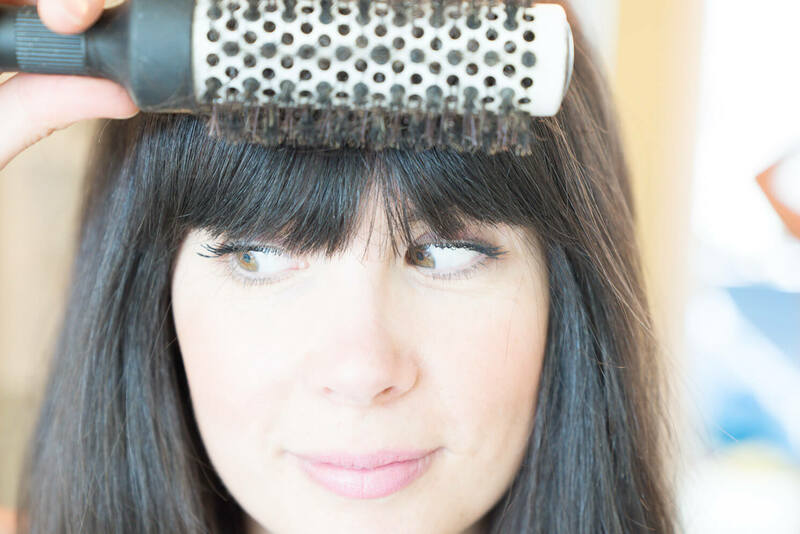 When I first got bangs cut several years ago, I immediately went to the drug store to buy some dry shampoo. I asked the sales associate at the beauty counter for her recommendation on the best brand. She gave me a couple of choices and 15 bucks later, I went home with a dry shampoo spray in hand. I'm actually embarrassed to admit I bought this stuff. You might be wondering, what is dry shampoo? It's a powder you put in your hair and it soaks up the oil. Sounds kinda gross but if you're like me and don't want to wash your hair every day, it's a major time-saver. The first time I tried the drug store dry shampoo I found the smell very strong. And you probably already know that I'm very anti-fragrance because anytime you see "fragrance" listed on the label means it can be full of hundreds of undisclosed chemicals. For some unknown reason, when I was at the drug store I didn't even look at the ingredients list. So while I was standing in my bathroom after spraying this stuff in my bangs, I looked at the ingredients and was absolutely horrified!!! Propane? Isobutane? Parabens? Fragrance? WTF!? I knew better. I guess the excitement of getting my new 'do distracted me from using my lady smarts and reading the ingredients list. I was in a bang fog! There was no way I was going to be spraying isobutane among other toxic chemicals in my bangs every morning to get rid of the grease. Since I kept the receipt, I returned it with no issues and got my 15 bucks back thankfully. It is rated a 7 on the Environmental Working Group's website. It is linked with organ toxicity and listed by the Environment Canada Domestic Substance List as "expected to be toxic or harmful." This class of chemicals are known endocrine disrupters, human immune toxicants and animal studies show reproductive and developmental toxicity. They are rated a 7 on EWG. Any time you see this listed, it can mean literally hundreds of chemical toxins. The problem is that we just don't know what chemicals are hiding in the fragrance because Health Canada does not require manufacturers to disclose this information. Fragrance is associated with allergies, immunotoxicity, irritation (skin, eyes, or lungs) and organ system toxicity. It is listed as an 8 on EWG. This chemical is linked with developmental and reproductive toxicity, organ system toxicity and cancer, even though it's rated a 4 on EWG. These are only a few of the problematic ingredients in conventional dry shampoos. As I've talked about on my blog before, manufacturers of these products can basically put anything in their products they want. The government does not have a watchdog keeping these companies from putting toxic and harmful ingredients in products you could be using every single day. It is up to you, the consumer, to decide what toxins you want to expose yourself to. And let's not forget about our environment. These chemicals get into our rivers, lakes, oceans and soil that our food is grown in. Now you know what you need to avoid – most conventional products! The ingredients are probably ones you have in your kitchen pantry right now. You can watch the video here and the full recipe is below. As you will notice in my video and recipe, I don't have a solution for redheads. But maybe ginger powder would work. Any suggestions for redheads, please post below! This recipe is adapted from a the lovely Kathrin, the founder of For Love of Body. Be sure to watch the video because I give you tips on how to use it! This dry shampoo will come in handy if you don't wash your hair every day. And I don't recommend you wash every day. Washing daily dries out your scalp which makes your hair dull and dry. I'm not sure why that's all my comment showed, because I also had a question. I find that when I don't wash my hair every other day it becomes not just greasy but very itchy. I just wondered if there was any suggestions for that and if that means I should wash my hair more often? I will try this less the cocoa powder. I will let you know how it works for. Do you have a preferred branch of essential oils that you use? Maybe turmeric for blonds, ginger hair? Why do you prefer arrowroot powder over cornstarch, may I ask? What is the link to the shampoo/hair detox? A dash of paprika could work for red hair! Hi joy! Thanks for the dry shampoo video - I'm keen to try it!! Just wondering, do you have to add essential oils? Thanks. Turmeric should work for redheads too I think! Thanks Joy for your suggestion and recipe. I will be making my own soon. Do you mind if I share this on my blog? Baking soda with cocoa powder / cinnamon works well too. I love this video and your hair looks healthy. I am a redhead, and heard tumeric is good for us gingers.. I hope to try soon, just don't know the ratios to use. Hi where did you buy the raw coacao powder? 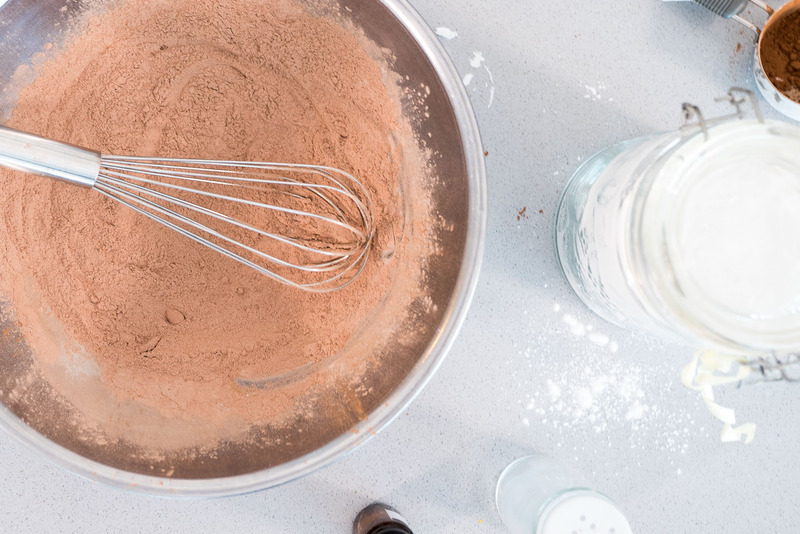 Is arrowroot powder the same as arrowroot flour? Do you use the Bob’s Red Mill brand? Thankyou! Yes it is. And yes sometimes I buy BRM :) It's a really great brand! I am blonde and usually use baby powder....is this bad? It's not "bad" but there is a better option with no fragrance. 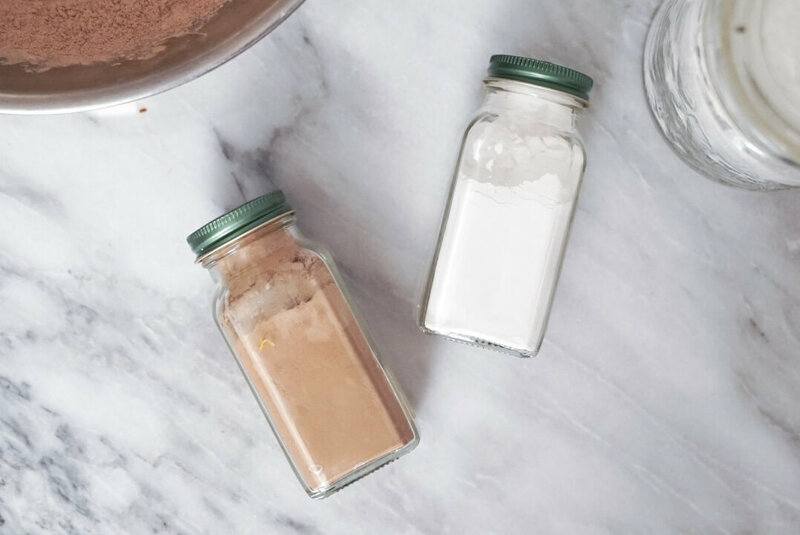 You could just as easily use arrowroot powder and skip the raw cacao. Add your fave essential oil and you've got the best sub instead of baby powder. Hope that helps! Just read this after clicking on the link from your natural hair challenge! I will definitely try :) Quick question, would you have any recommendations for a hair brush for someone with thin (brittle) hair? I dont have a lot of hair and my scalp is sensitive (can't brush too hard) so I have a hard time finding the "right" brush. Any suggestions? Also, Joy, what do you do if after a shower your hair completley frizzes up? Any special brand of arrowroot powder you recommend? Hi Kristen, not really. I've bought Bob's Red Mill in the past and like it. Hi Joy I purchased Arrowroot Flour from Bulk Barn, and it has arrowroot as the first ingredient and Sulfur Dioxide listed as the other?! I'd like to know your thoughts and opinion if I should use or find else where/order. Thanks! Hello Joy, Do you think that I can at least rinse my hair with warm water every day as I take a shower, which means I only use shampoo every few days but will blow dry every day because I wet my hair by rinsing it? I don't think I can stand my hair without washing even a day... as it gets oily and smelly, I sweat on my scalp during the day as well as while taking a bath. For sure but if your hair is really oily water only won't remove any of the oils. Unless of course you're using this dry shampoo. Was that your intention? Hi Joy, Thank you so much for your quick reply. Sorry, I accidentaly left the comment in this dry shampoo page, but I was originally looking at your haircare routines for healthy hair page. What I wanted to ask you is that you think using shampoo every day is bad for your hair? If so, what if I don't use shampoo but rinse my hair with warm water every day while I take a shower so that I can at least feel clean by rinsing out the dirt or sweat, and use shampoo every 2 or 3 days or something... Do you think it would still be better? My hair itself is actually very dry and frizzy, but scalp gets oily if I don't wash my hair every day. Hi Hana, I'm not sure if you've seen that I have a free Natural Haircare Challenge that starts every Sunday. You can join here and you'll learn everything from the best foods to nourish your hair to how to do a hair detox. https://hi.joyoushealth.com/natural-hair-care-challenge/ It's totally free! Awesome! Glad you joined Hana!